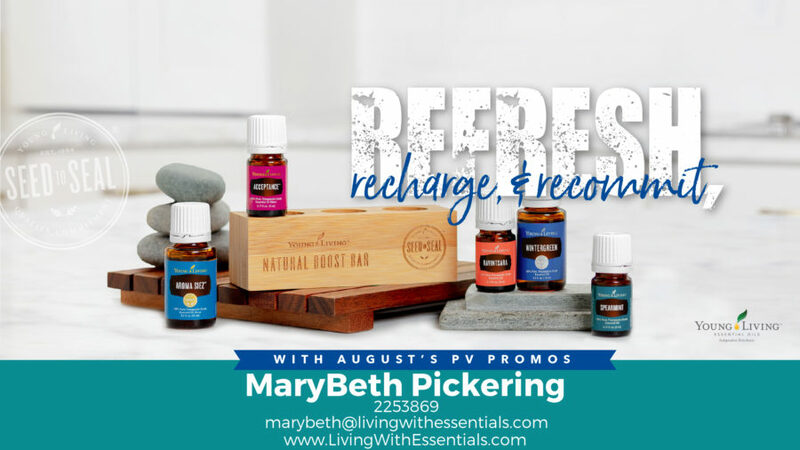 Refresh, Recharge, and Recommit – with the Young Living August 2018 PV Promo! It’s official—we’re over halfway through the year! Time is flying by, but don’t let this year’s dreams slip away with it. Whether you’re working on your goals every day or your motivation could use a pick-me-up, the Young Living August 2018 PV Promo is here to help you refresh, recharge, and recommit; so you can achieve every accomplishment you have planned! 5-ml Acceptance: Accept yourself for who you are while feeling empowered to be better! Apply 2-4 drops over your heart for an aroma that encourages self-worth, achievement, and self-discovery. When your day throws a particularly difficult obstacle your way, diffuse Acceptance while saying a favorite mantra or quote to help you find the patience and strength to move forward. Bamboo Oil Bar: Use this beautiful oil bar to store your must-have oils on your bedside table, vanity, or desk; so you can reach for them anytime you need a boost—morning, day, or night! Keep a few favorite Vitality oils on the kitchen counter for easy access. The instant, fresh flavor of Vitality can help you drink more water and choose healthier food options! 15-ml Aroma Siez: Stay motivated even after the toughest days. Use equal parts Aroma Siez and carrier oil and massage into the neck, chest, and temples for a relaxing reward before bed. Use the fresh, herbaceous scent of Aroma Siez after a relaxing shower. Rub a few drops between your hands and massage into the scalp, neck, or shoulders for a moment of tranquility. 15-ml Wintergreen: Accomplish your fitness goals with help from a rejuvenating post-workout massage. Combine Wintergreen with a carrier oil or lotion and massage into tired muscles for a refreshing pick-me-up. Jump out of bed early and start chasing your dreams! Diffuse Wintergreen for an energizing aroma that can motivate you while the world still sleeps. Bonus Essential Rewards exclusive: 5-ml Ravintsara: Get grounded! Diffuse this clean-smelling oil or apply it to your wrists and temples as you reflect on how you can crush your goals. Take time to unwind. Hard work requires you to slow down sometimes, so spend a minute meditating with a few drops of Ravintsara applied over your heart. Bonus Essential Rewards exclusive: 5-ml Spearmint:Start your day with the fresh, uplifting scent of Spearmint. Diffuse this minty essential oil to inspire your mood and make the most of your morning momentum. A messy space encourages a messy mind. Add a few drops Spearmint to your homemade household cleaner and wipe down counters, tables, desks, and more to refresh your home and your mental space! Want to refresh, recharge, and recommit with the Young Living August 2018 PV Promo but don’t know where to begin? To get your promo, meet the above PV this month and earn them. Please note that “Bonus Essential Rewards” means you have to be a part of Essential Rewards to earn these. Not already a Young Living Member? Find out how you can get the Young Living August 2018 PV Promo! Next you will want to join Young Living’s reward program called Essential Rewards. Every family’s needs are different so here you can customize your products so they fit your family. I truly believe transforming your life to a healthier lifestyle should start with your nutrition. Young Living offers both daily essentials as well as targeted nutrition. If you are looking for an all natural makeup line without all the yuck, you might want to check out the Savvy Minerals line. If you have children, you might find some new favorites with the KidScent line. 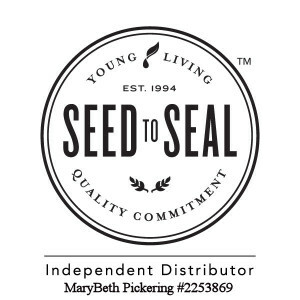 Don’t leave out the baby with Young Living’s baby line, Seedlings. Perhaps you have some “fur kids” (pets) that will enjoy the AnimalScents line. In addition to your family’s nutrition and personal care, you can also make your home more green by switching out commercial cleaners to a natural alternative Thieves Household Cleaner! That’s it! You will have the 100PV from the Premium Starter Kit plus the PV of any additional products ordered through Essential Rewards. If you are just looking to add 200 PV to your 100PV from the Premium Starter kit, I highly recommend the NingXia Red Essential Reward kit, and a bottle of the Thieves Household Cleaner. NingXia Red: 4 – 750 ml bottles and 32 – 2 oz. pouches. That equals 164 ounces which means you get 82 days worth of the daily recommended 2 oz servings! 1 bottle of Thieves Household Cleaner plus a sample. This will be the only household cleaner you will need. It is very concentrated it will last a really long time since you only use a capful or so for most recipe dilutions! With this combination, you will be at the 300 PV total so you can get all the freebies from the Young Living August 2018 PV Promo for a total around $369.50 plus tax and shipping depending on which diffuser you go with for the Premium Starter Kit. This is such an awesome value and what better to invest in other than your health and the health of your family! In addition to the products mentioned above, you also get a 24% discount on anything you need to order as long as you keep your wholesale account. You will be part of a community that truly values their health and willing to help each other along their oily journey. And last but not least, you have the OPTION to help with your family’s finances by sharing oils with others if you choose to build a business with Young Living. 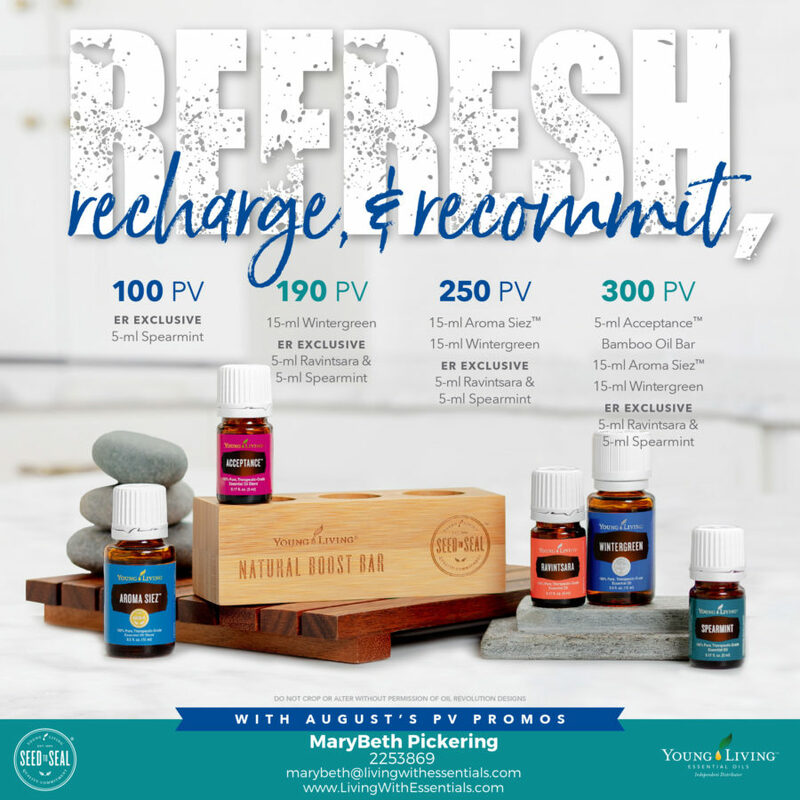 Bookmark this article Refresh, Recharge, and Recommit – with the Young Living August 2018 PV Promo! 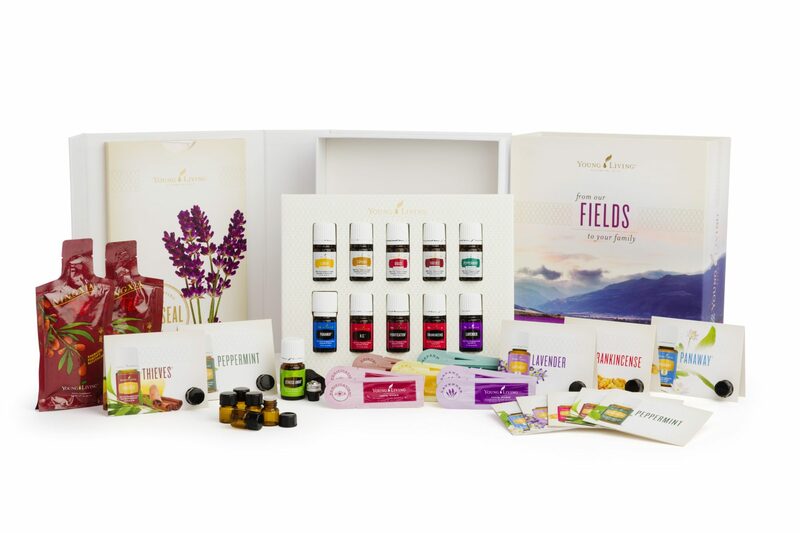 Live Free and Fearless – with the Young Living July 2018 PV Promo! 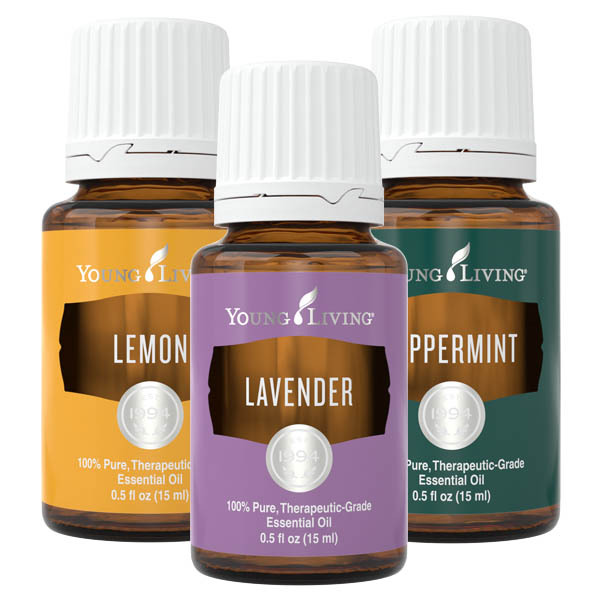 Share Your Gratitude this Holiday Season – with the Young Living November 2018 PV Promo!